December 8, 2017 — As reported by the Amphibian Survival Alliance a salamander species not seen since its discovery in 1975 has been unexpectedly rediscovered in Guatemala’s Cuchumatanes Mountain range. 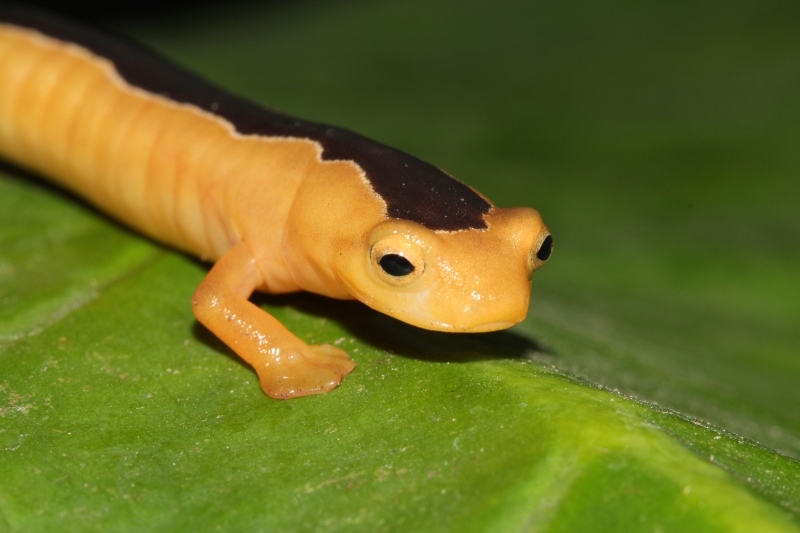 A guard at the Yal Unin Yul Witz Amphibian Reserve discovered the juvenile Jackson’s climbing salamander (Bolitoglossa jacksoni)—only the third individual ever seen—on the edge of the reserve while out on patrol. ICFC was among the conservation groups who funded land acquisition for this reserve which is owned and managed by our Guatemalan partner FUNDAECO. The others were the World Land Trust, Global Wildlife Conservation, and Rainforest Trust. The find demonstrates the crucial value of conserving habitat at key sites such as this.